Volvo is on an absolute roll, lately. It seems as if the Swedish company can’t put a foot wrong in terms of design. 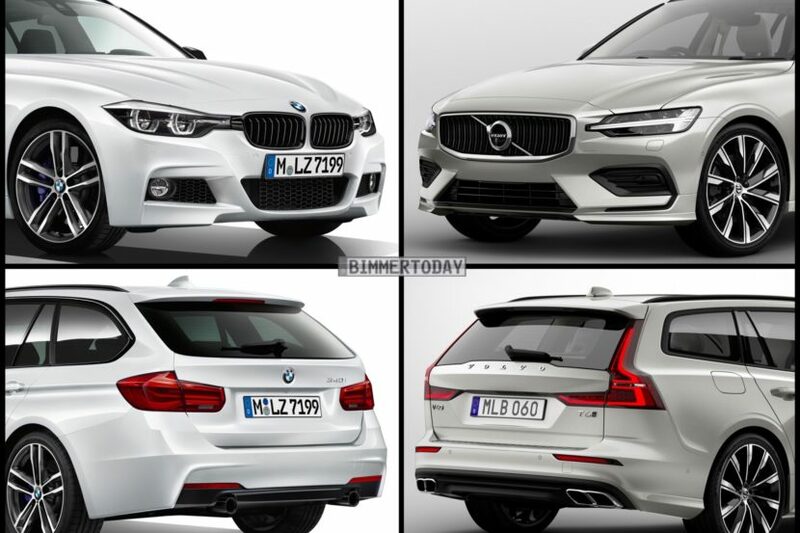 Each and every new car to come from Gothenburg has been extremely pretty and this new Volvo V60 wagon is no different. So let’s see how it compares to its competitor from Bavaria, the BMW 3 Series Touring. To be honest, this isn’t much of a fair fight. 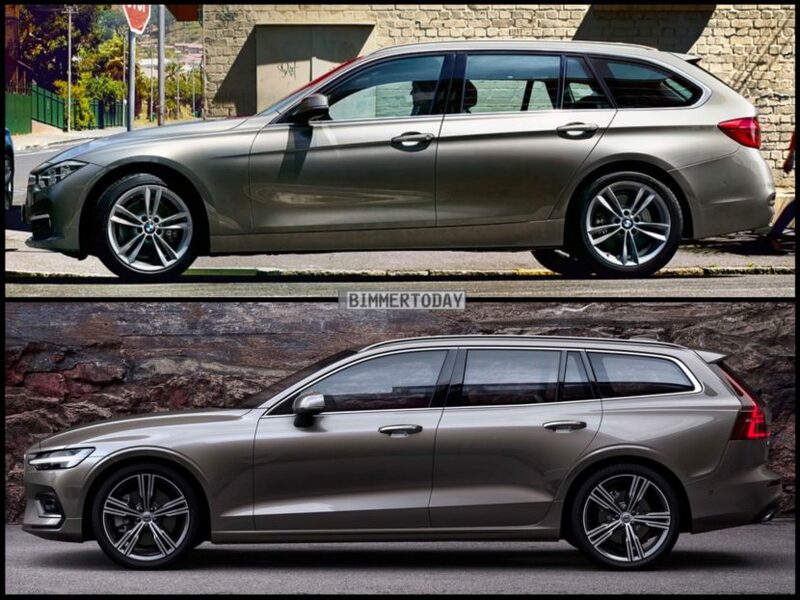 Not only is the current F31 3 Series Touring old now, but it was never one of BMW’s best designs to begin with. It’s not ugly, per say, it’s just not pretty. Whereas the Volvo V60 is pretty and it’s brand-new. On the outside, the 3 Series Touring really doesn’t stand a chance. It’s a fine looking car but the V60 is one smooth Swede. From the front, the Volvo V60 has a very modern, very sleek looking face. Its “Thor’s Hammer” headlights are very sharp and it looks like a high-tech luxury car made for the digital age. While the 3 Series has a decent mug, it’s just not aging well. Those weird headlight arms that connect to the Kidney Grilles are just not great looking and they throw off the rest of the front end. Things aren’t much better for the 3 Series when you look at both cars in profile. Though this is the 3 Series Touring’s best angle, it’s just not as pretty as the Swede. Its shoulder line is aggressive and low, giving the car a lower looking stance, which is good, and the way its roofline sweeps backward toward the rear makes it look sporty even when standing still. Aside from that, though, there’s not much going on. The Volvo V60, on the other hand, isn’t as muscular looking but there’s more going on. It’s smooth and it flows really nicely and its lower roofline makes it look sleeker (even if it ends up impairing outward visibility). Volvo had a bit of a styling issue with the rear end of the S90 sedan, which just looked a bit bland. The Swedes have remedied that with the V60, which has a very nice looking rump. 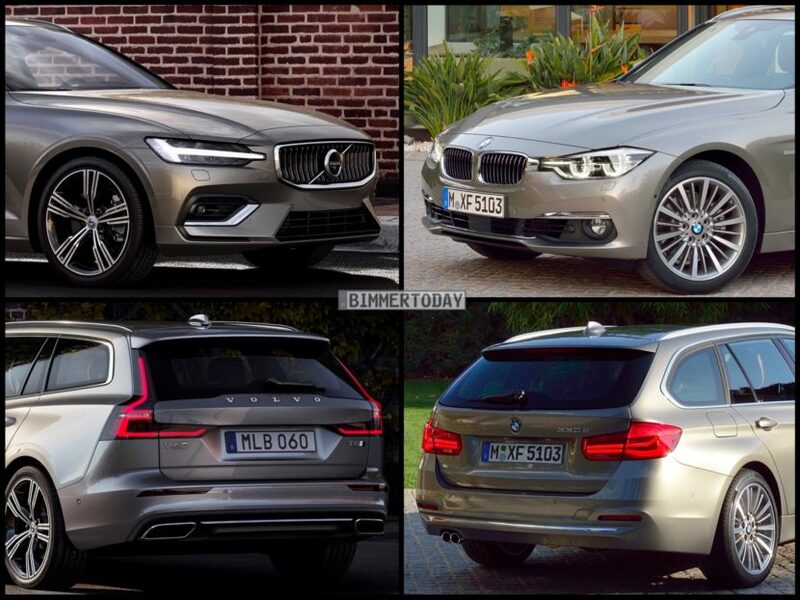 With its taillights that sort of zig-zag their way up the D-pillar and rectangular exhaust pipes, the V60 looks good from the rear. While the 3 Series Touring just looks, well, like a 3 Series from the back. It’s not bad looking, it’s just not really interesting in any way. The area where Volvo has been crushing not only BMW, in terms of design, but almost every other brand, is inside. The cabin of the V60 is so wonderfully laid out in a simple, elegant and so perfectly Scandinavian way. 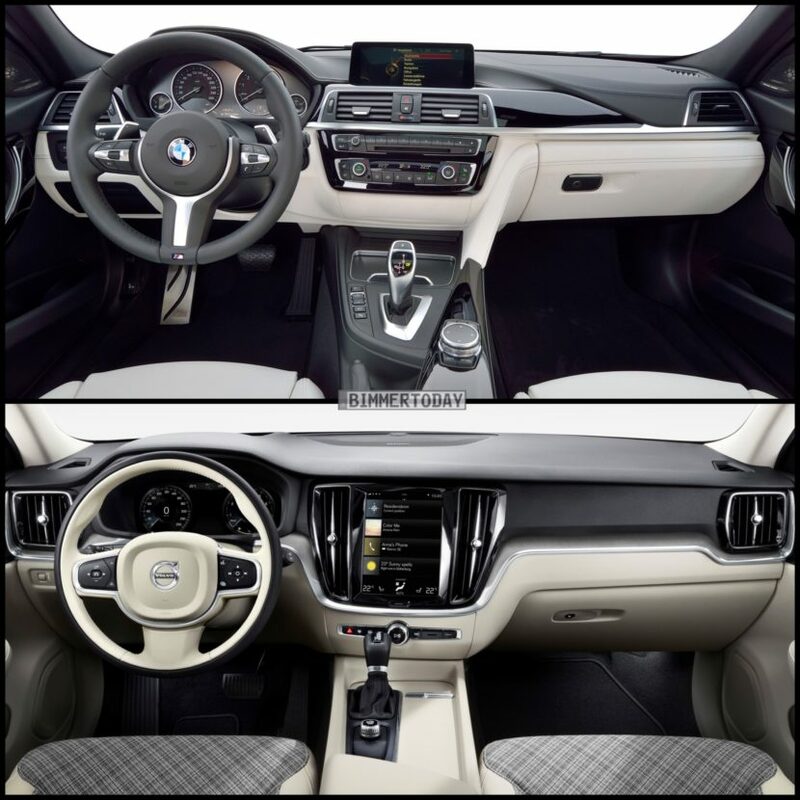 The 3 Series cabin is still a great one, with quality materials, ergonomic controls and good technology. But there’s nothing like a shiny new toy and the cabin of the Volvo V60 gives us exactly that. While touchscreens are annoying, Volvo’s is one of the best and the quality and materials are top notch. To be honest, there isn’t an area of design where the 3 Series looks better, we think. Don’t get me wrong, we love the 3 Series Touring and think the 328d is one of the best overall cars on the market (actually the ALPINA D3 is but that’s for another time). However, in terms of looks and design, this Volvo V60 reigns king. In fact, I’d go as far as to say as it’s the prettiest looking wagon on sale.